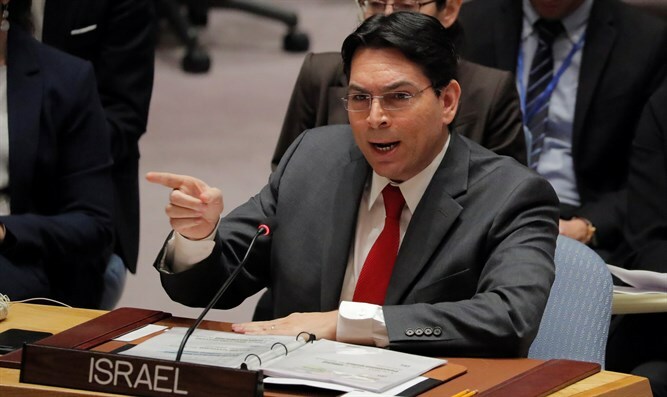 Israeli UN Ambassador Danny Danon slammed the resolutions passed on Wednesday by members of UNESCO’s Executive Board, according to which the Tomb of the Patriarchs in Hevron and Rachel’s Tomb in Bethlehem are "an integral part of the Occupied Palestinian territory." The resolutions also condemned Israel for building the security fence, carrying out excavations in eastern Jerusalem, and for "other measures aimed at altering the character, status and demographic composition of the Occupied Palestinian territory." They were submitted by Egypt, Jordan, Lebanon, Morocco, Oman, Qatar and Sudan, and were approved several minutes after the beginning of a meeting held by the PX Commission, which includes all members of UNESCO’s Executive Board. “This is further evidence, for anyone who did not understand why the United States and Israel withdrew from UNESCO, that again proves that UNESCO is a body based on lies and biases, and is deliberately acting against us,” Danon said of the resolutions. Israel announced in December that it intended to withdraw from UNESCO, the UN's educational organization, after the US made a similar announcement. The withdrawals are to take effect in 2019. UNESCO head Audrey Azoulay has sought to dissuade Israel from leaving UNESCO, and invited the prime minister to a conference on anti-Semitism held by the organization in September, Channel 10 reported in August. However, Prime Minister Netanyahu ultimately declined to participate in the conference, citing the organization’s incessant anti-Israel actions. “Anti-Semitism once discriminated against and defamed the Jewish people. Today it distinguishes against and defames the Jewish state,” the prime minister said. “Our withdrawal from UNESCO in 2017 was a clear moral statement by Israel and the United States that we would no longer tolerate the anti-Semitism of UNESCO. “If and when UNESCO stops its bias against Israel, stops denying history and begins to stand by the truth, Israel will be happy to rejoin, until then Israel will fight anti-Semitism at UNESCO and elsewhere,” he said.